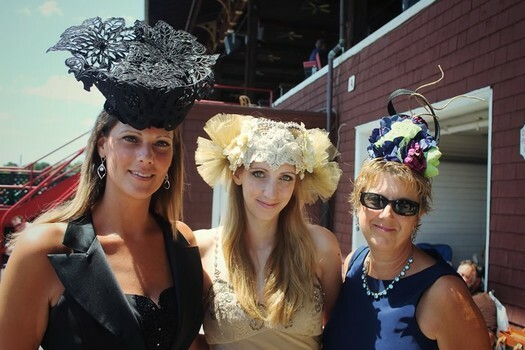 The Saratoga Race Course draws people in all sorts of headwear. "Let me ask you a question." Two beers were sweating through their glass bottles last summer on a cold, metal, patio table when a man I barely knew put me on the spot. The style of his delivery fell somewhere between Dennis Miller and The Grinch Who Stole Christmas, so I knew it was trouble. All I could think was, "Here we go." Instead, what I said was: "Go ahead!" 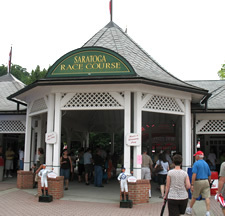 One of the most prominent offers included in the newly expanded Saratoga Season Perks program is the guarantee of a premium Saratoga giveaway item on the day of the giveaway, so long as the season pass or season ticket plan holder is in attendance at Saratoga Race Course and redeems the giveaway item by 3 p.m. Redemptions will begin when gates open to the general public. The reservation process for restaurants at The Track also opened this morning via phone. At some point large numbers just become... numbers. You know, how often do we ever encounter a million of anything? So, it's easy to see some large figure quoted in a news story and just be like... yeah, sure, whatever. We were thinking about that today while looking over the numbers for the Saratoga Race Course season that ended Monday. Because it involved some very big numbers. Paid attendance for this year's meet was also high: 1,065,625. That's a new seasonal record total, though it comes with an asterisk. The old record -- 1,049,309 -- was set in 2003, the season for which only had 36 days. What's it like to a ride along with one of the horses as it cruises around the track at the Saratoga Race Course? One of the things we were thinking about while watching the video wasn't about how things appeared, but about how they sound -- the thunderous hoof strikes and rushing wind, and the tide of crowd noise as the distance between the horse and the grandstand expands and contracts. Earlier on AOA: American Pharoah? Really? Please explain. I have to admit that I'm not a Track person. It makes sense to me how it could be fun for some people -- the time spent relaxing at a beautiful venue, the thrill of placing a successful bet, the majestic animals, the hats. I'm just not one of those people. 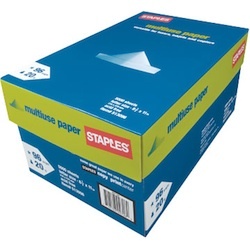 Probably as a result of not being a Track person, the recent non-stop hype about the arrival of Triple Crown winner American Pharoah for the (sold-out) Travers this weekend is a little odd to me. It's a horse. I mean, obviously, a special, accomplished horse. But, still... a horse. So, to get a better sense of the the American Pharoah hype train as it passes through our area (Do I wave? Is that how it works? ), I got in touch with my friend Robert Lee -- local sportscaster, voice of Siena Saints basketball, and avid horse racing fan. 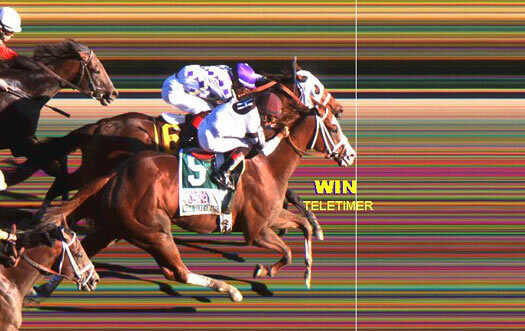 The pic above is the photo finish image from the Travers on Saturday, won by VE Day in a late surge past Wicked Strong. It's the third straight year the Travers, the biggest race of the season at the Saratoga Race Course, was won -- or tied -- by just a few inches. We always love these photo finish pics. NYRA posts them online sorted by day and race. "A dramatic stretch drive awaits ... Calvin Borel imploring his filly for more!" -- From Durkin's call of the 2009 Woodward Stakes at Saratoga, won by superstar horse Rachel Alexandra, the first filly to win the race. Anyone who has watched horse racing, avidly or casually, over the last 30 years associates one voice with the sport more than any other: Tom Durkin. He announced this past wekeend that he will retire after 43 years calling races, the last 24 of those years as the primary announcer for the New York Racing Association. 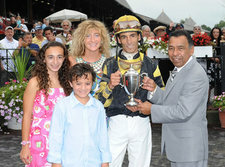 His last race at the Saratoga Race Course will be August 31. In my opinion, Durkin is the greatest racecaller of my lifetime and there's really no one even close. He is fundamentally sound, giving the fan accurate descriptions of the horses and their positions while showing his great ability to know which horses are ready to move forward while others are "stopping badly," to borrow a favorite Durkin phrase. Most importantly, Durkin shows a true flair for the dramatic, raising his game when the stakes are highest. "The leisure seems to have departed, but the passion for horses is as strong as ever..."
Check out this 1930s newsreel segment about Saratoga Springs and the Track. It includes some great old footage, and the ever-entertaining newsreel voiceover and music. Also: Nostalgia is apparently a renewable resource. 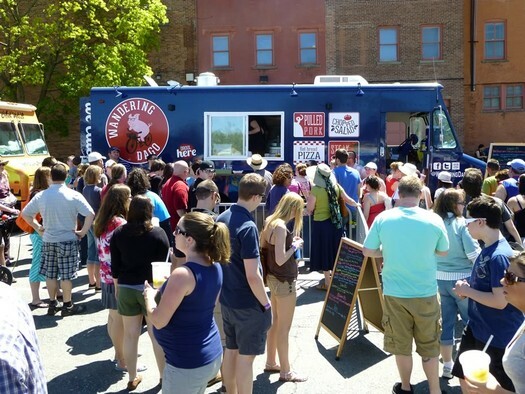 The Wandering Dago food truck at the Food Truck Festival of NY in Troy earlier this summer. Brandon, who's Italian, explains that he knew the term as a word used for Italian immigrant workers back in the day who wanted to "be paid as the day goes." "Day-goes" became "dago." And in parts of Italian culture, he says the word has been reclaimed as a term of endearment. 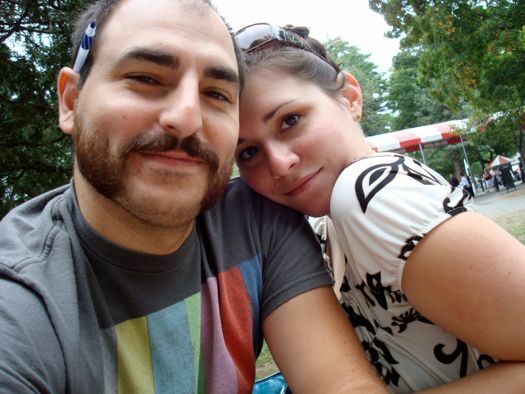 Brandon and Andrea say they chose Wandering Dago "because we wander as the day goes." The food vendor in question was not banned from selling food at the Empire State Plaza. OGS has the authority and latitude to determine whether it is appropriate for any particular vendor to be issued a permit. This food truck applied for a vendor permit for the 2013 season and was not issued one. Among other reasons, it was determined that their application was not appropriate because the name of the business was found to be an offensive ethnic slur by any standard. 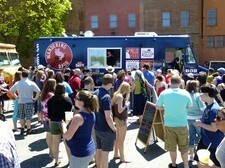 The food truck open last year, working primarily in Schenectady. 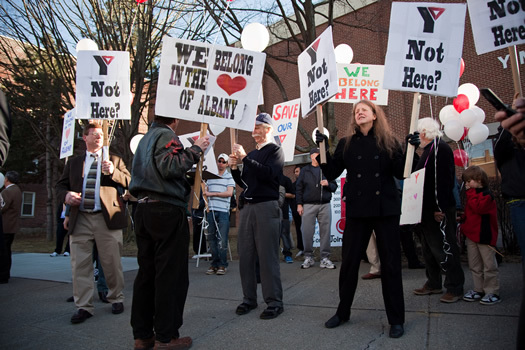 It's since expanded its coverage area to also include other parts of the Capital Region (such as Rockin' on the River in Troy, and the Riverview Center in Menands). 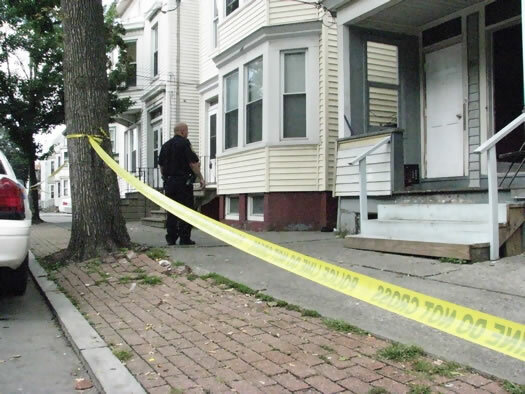 Snooks and Loguidice moved to the area from Colorado to open the truck. This hour-long historical documentary will transport viewers through 150 years of owners, trainers, jockeys and horses. We'll experience the track beginning with four thrilling days in August 1863 and continue through the pageantry of today. There's a short promo clip at that link above. It looks like the doc includes a bunch of old photos, which could be fun to see. Rediscovering the Light: WMHT is re-airing its recently-premiered doc about the restoration of the state Capitol building -- Rediscovering the Light: Restoring New York's Capitol -- July 19 at 10:30 pm. And it will play again July 28, August 19, and August 23. + For the first time since 2000, there will be walking tours of the Track's "front side." Blurbage: "The approximately 45 minute walking tours will provide a historical overview of the facility and showcase a number of the property's highlights, including the unique architecture, landscape and traditions that encompass the Spa." Tours will be offered on the days the Track is open -- they're $3 per person, or $10 for a group of four. 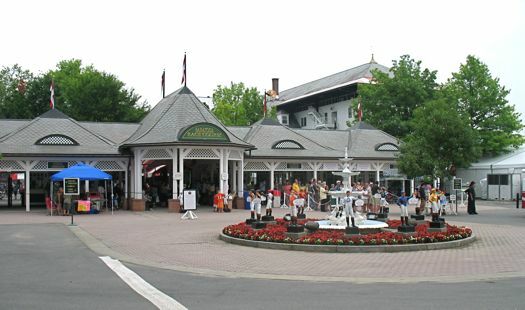 + New this year: the "Uniquely Saratoga Marketplace" on Sundays from 10:30 am-5 pm. It will include 13 vendors of "products made exclusively in New York State." You'll recognize some of them from local farmers' markets. + The Travers -- the biggest race of the season -- is August 24. + Total attendance this year: 901,033. + The total season "all-sources handle" (the amount bet on races at Saratoga, from everywhere): $588.4 million -- the daily all sources handle average was up 9 percent compared to last year. + The total "on-track handle" (the amount bet at the race track itself) for the season: $128.3 million. + The average daily on-track handle: $3,207,356 -- up 3.3 percent compared to last year. + The total season on-track handle per attendee: $142.39 -- that's up 2.5 percent from last year. All numbers via NYRA -- except for the last one, which we calculated ourselves. Some numbers have been rounded. The attendance count includes people who entered multiple times on giveaway days. 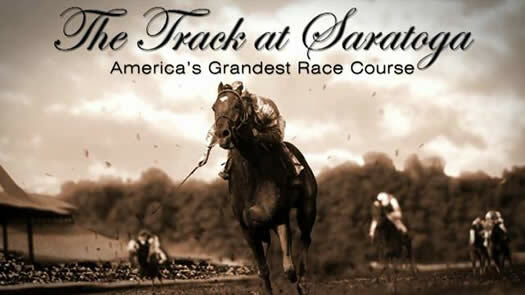 The Saratoga Race Course advertised on AOA this year. 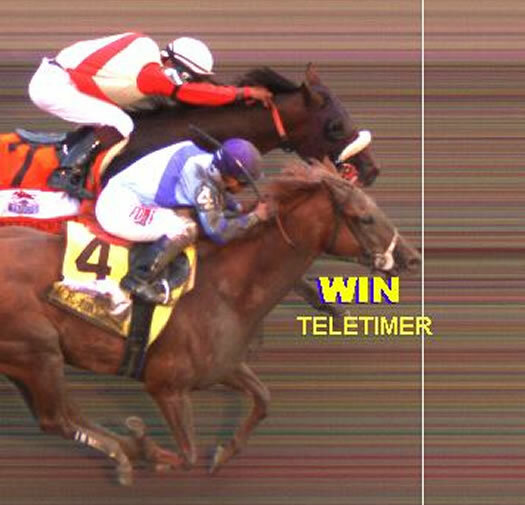 If you didn't catch it this past weekend: this year's Travers Stakes ended... in a tie. The horses Alpha and Golden Ticket both crossed the line at the same time. 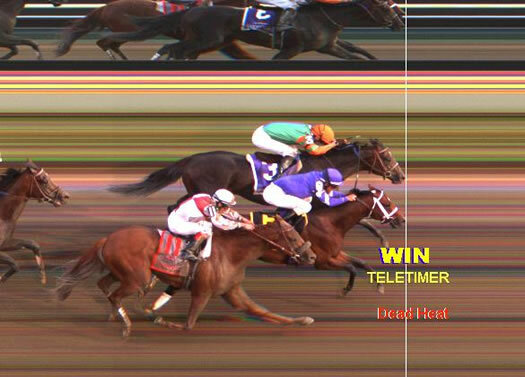 That's the photo finish camera image up top. Video of the race is embedded post jump, as is another photo showing how close it was. It's the first "dead heat" in the race since 1874. As a 2-1 favorite, Alpha's spot sharing the winner's circle wasn't unexpected (except the sharing part). But Golden Ticket was a 33-1 longshot. A $2 bet on Golden Ticket returned $26.80 -- the seventh-highest payoff in Travers History, according to NYRA. NYRA says attendance for the Travers was 46,528, up a little more than 8 percent from last year. The amount bet at the Track that day -- the "handle" -- was $8.74 million, up 7 percent from last year. 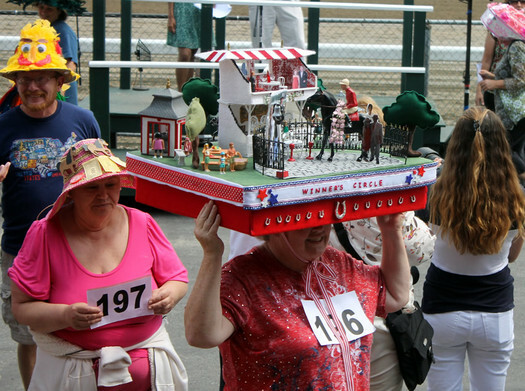 Hat Day at the Saratoga Race Course is always fun. People enjoy watching them pass by, and the folks who enter the contest have a great time putting their look together and showing off their creations. On Sunday AOA teamed up with Kristi Gustafson Barlette, Matt Baumgartner, and morning show hosts Randi and Kevin from The River to judge more than 150 fabulous hats. After the jump, a look at the winners and some of the other impressive entries for the day. 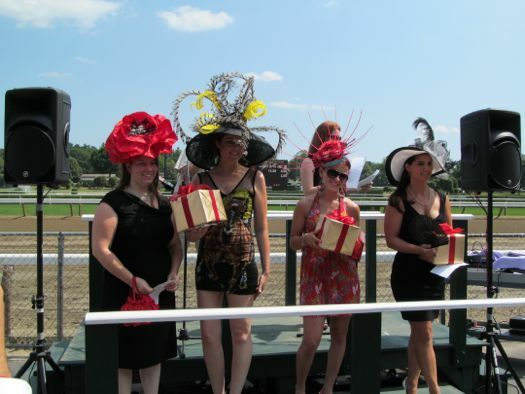 Thanks to the people at the Saratoga Race Course for inviting us to judge again this year. Up almost 2 percent from last year. The on track "handle" was up 5.6 percent from last year. Up more than 8 percent from last year. 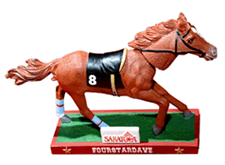 NYRA introduced a Facebook game called Play Saratoga today. It's being touted as a "social racing league," but as far as we can tell, it's kind of like fantasy horse betting. Fantasy sports are so big right now that we figured there had to be fantasy horse racing/betting. There seem to be a few games -- but it doesn't look there's the wide field of options like there is for sports such as football, baseball, and... golf (really -- there's fantasy everything now). The Saratoga game looks fairly straightforward: you're just picking races. The better your results, the more points you get, the more points the better your chances of winning prizes. Picks for a day's races have to be in before the first post time. It starts Wednesday. It's free. And: it's not Farmville. 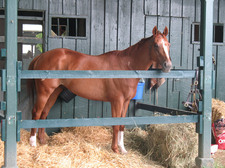 This horse is the third thoroughbred to carry the "Jimmer" name, according to the Pedigree Online Thoroughbred Database. What obviously has to happen now: a game of H-O-R-S-E between the two Jimmers. Come on, NYRA, let's make this happen. 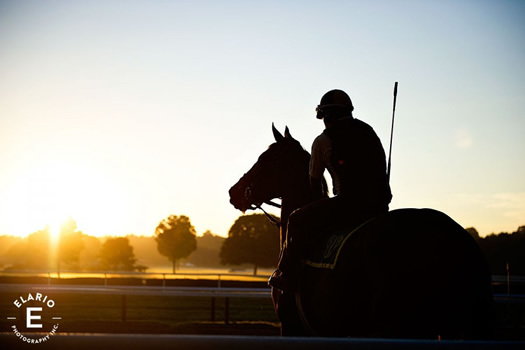 The season at the Saratoga Race Course ended yesterday. And the attendance and wagering numbers -- which sometimes seem to get more attention than the actual race results -- are in. The total number of admissions this season (878,280) was up over last year (854,424) -- but this year's season was 40 days and last year's was 36. NYRA has broken down the numbers a few ways to compare to the 36 day season -- that's after the jump. 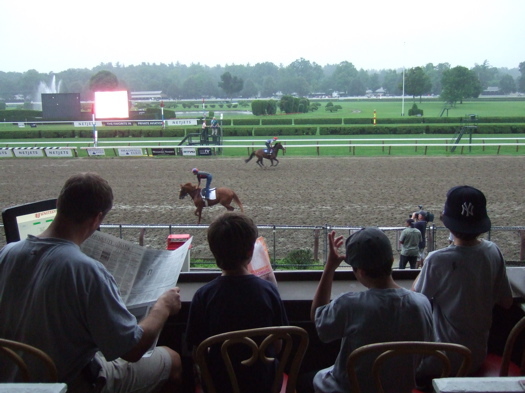 Get this: NYRA reports that more than $353 million was bet on races at Saratoga in August (actually at the track, or off-site somewhere) -- that was almost a third of all the money bet on horse races in the US during the month. But get this: NYRA says none of the winning tickets was bought at Saratoga. 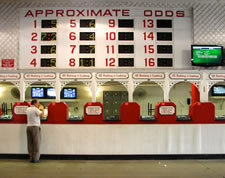 Two were sold online, one at Connecticut OTB and one at the Meadowlands in New Jersey. 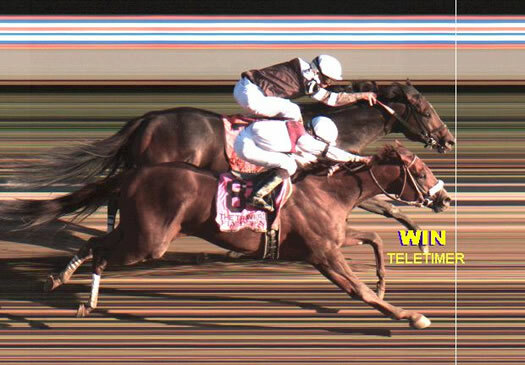 Check out the photo finish image from the Travers this past weekend: Afleet Express defeated Fly Down by just a nose. Here's video of the race. Attendance and handle (the amount bet) were way up for this year's Travers, compared to last year. NYRA reports that 45,764 were at The Track on Saturday, up more than 33 percent from last year. A little more than $8.2 million was bet onsite that day (up almost 20 percent). Of course, last year's Travers Day was rainy -- and this year the weather was gorgeous. Rachel, Rachel, Rachel Superstar horse Rachel Alexandra ran at the Track on Sunday in the Personal Ensign -- and lost. A horse called Persistently passed RA down the stretch. Persistently was 21-1 and paid $45.00 on a $2 bet to win. "Food is necessary to the total experience"
At Siro's restaurant, the 72-year-old hub of haute revelry here, men in blazers the hue of Easter eggs and women in prodigious hats addressed their $48 Cassel Farms rack of lamb. Only five minutes and an immeasurable universe away, 942 itinerant workers in T-shirts ate free stir-fried Sichuan chicken under a white party tent at the Saratoga Race Course. There's also a slideshow and "where to eat" guide. Superstar horse Rachel Alexandra is coming back to Saratoga. She'll be racing in the Personal Ensign Stakes August 29. Rachel (we don't think she minds the informality) was the Horse of the Year in 2009. She won eight races last year, including the Preakness (one of the Triple Crown races) -- the first filly do so in 85 years. She also had a dramatic win in the Woodward Stakes at Saratoga before a huge crowd (she's the only filly to ever win that race). As you might expect, NYRA is stoked that RA is coming back. It's even set up a microsite for her. Shake Shack at the track. 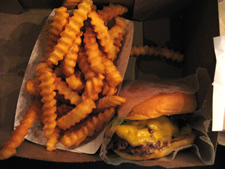 The first time we tried a shack burger we were sitting outdoors at the Shake Shack in Manhattan's Madison Square Park -- in November. Folks from the Capital Region don't get to dine in the park in November so much, so we thought the atmosphere may have contributed a lot to the experience. The second time we tried a shack burger was this morning. In the rain. Ankle deep in the mud at the Saratoga Race Course. Did it change the experience? One of the Shake Shacks in Manhattan. 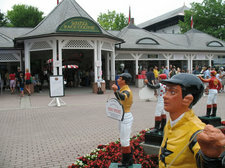 NYRA announced today that it's signed up famed restaurateur Danny Meyer's Union Square Hospitality Group to create a "unique culinary experience" at the Saratoga Race Course. Translation: they're opening a Shake Shack and a Blue Smoke. The two stands will be built near the paddock saddling area, along with a new bar. 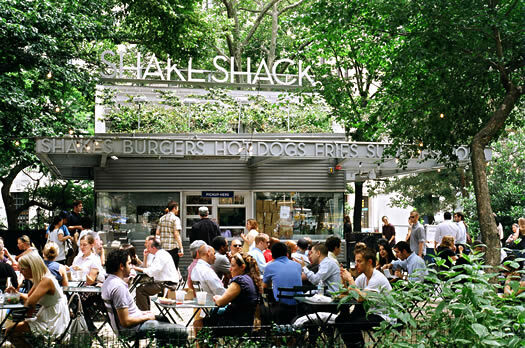 The first Shake Shack opened in Manhattan in 2004 and the stands have since turned into "an accidental empire of fast food." 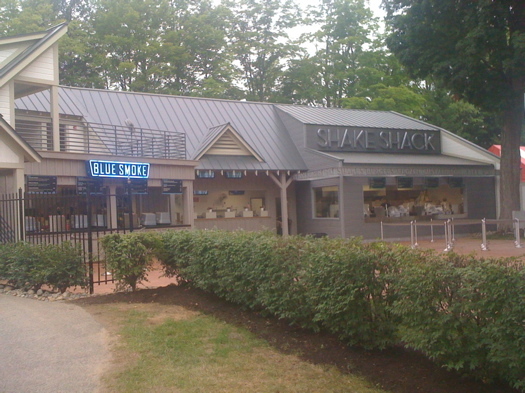 Blue Smoke is a barbecue place. It's been well reviewed (graded on a New York City barbecue curve, of course). 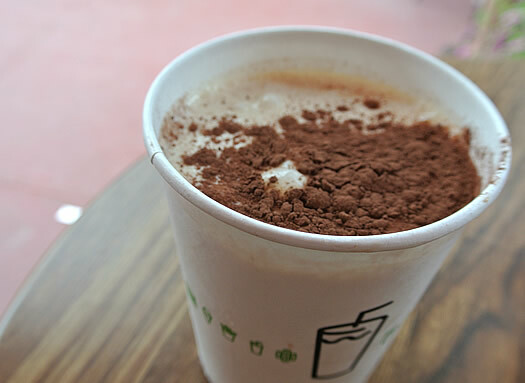 We've eaten at one of the Shake Shacks in Manhattan. The burger was very good -- the fries were OK (+1 for crinkles). It reminded us a bit of In-N-Out Burger. We're not sure we'd stampede to The Track for a Shack Burger, but we'd be very happy to eat one if we were already there. 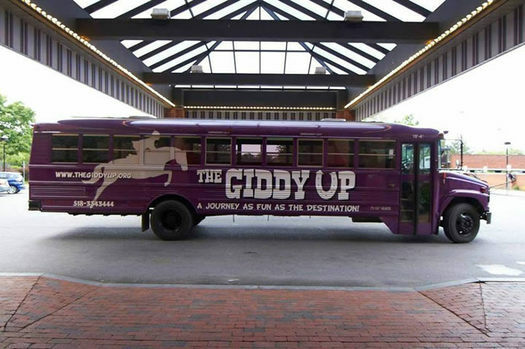 "There'll be no free ride for Rachel Alexandra!" 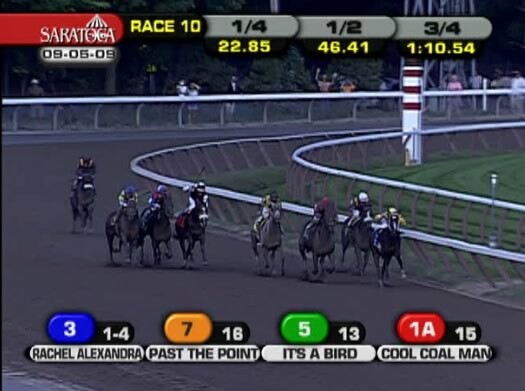 There was a crowd of 31,171 at The Track on Saturday, according to NYRA. Total attendance for the season (854,413) was down about two percent this year compared to last year. And the amount bet onsite (about $112 million) was also off about two percent. Look, it's the littlest cowboy. The weather cooperated for breakfast at The Track this morning. AOA woke up at the crack of dawn and headed north to check out the scene. Here's a little of what we saw. The Steelers' success started in... Saratoga? 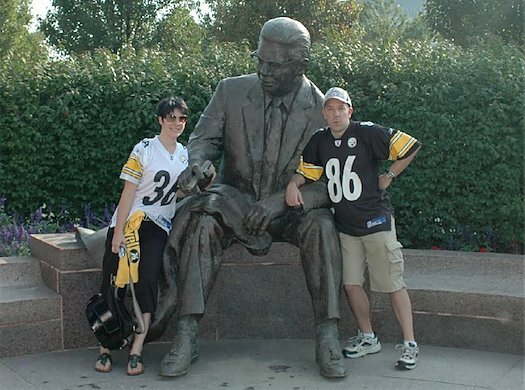 Art Rooney, the guy in the middle (the bronze one), could really pick 'em. Yep, it's true. Or, at least -- like most good stories -- it's probably true. Legend has it that Art Rooney, the founder of the Steelers, was able to afford the $2,500 NFL franchise fee after a longshot came in for him at the Saratoga Race Course in 1933. But get this: that wasn't even Rooney's best day at Saratoga. He had an even bigger score four years later. 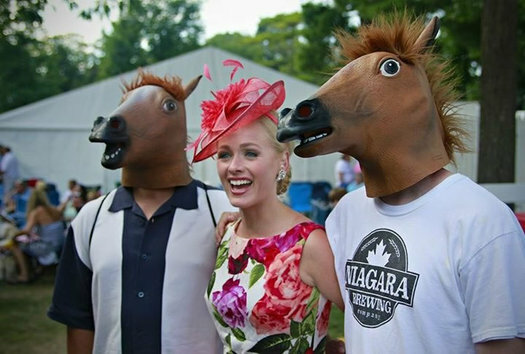 In fact, it may have been the best day anyone has ever had at Saratoga. 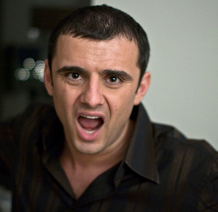 Internet-famous, and at this point famous-famous, wine expert Gary Vaynerchuk will be giving a free lesson on champagne tomorrow morning at The Track. If the bubbles don't get you going, Gary probably will. His popular Wine Library TV episodes are, well, effervescent. This is a guy who got Conan O'Brien to lick rocks in an attempt to develop his wine palate. Vaynerchuk's session starts Friday morning at 8:30 on the clubhouse porch. 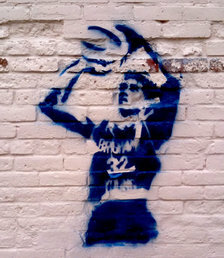 But keep your eye open around town -- it looks Gary V is already in Saratoga. Sure, going to Saratoga sounds like a good idea, but the prices, traffic and crowds can be a drag. And maybe you're looking for something just a little bit different than the typical day at the races. Here are a few alternatives to the typical Saratoga fare if you're looking to change things up (and save some cash). 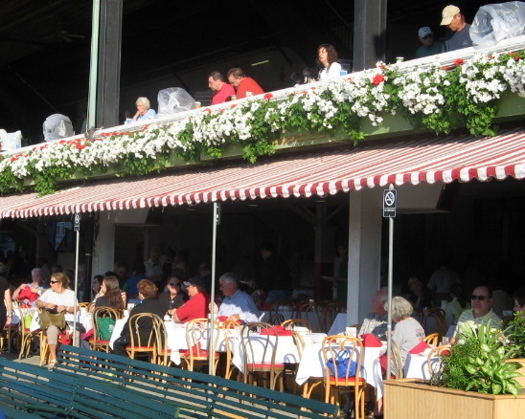 When you order your eggs and bacon for breakfast at the Saratoga Racecourse, you're following a tradition that dates from the late 19th century. There might be one or two things to say about this place. Quick, what's the oldest sporting venue in the United States? 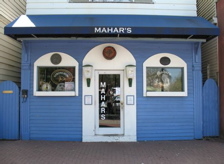 Since yesterday's post about All About Beer Magazine's list of the best places to have a beer before you die, people have been wondering how Mahar's rated 99th and The Saratoga Racecourse came in at 19. We have to admit, we too were puzzled, so we called up Rick Lyke, the author of the list. It turns out he used to live in Clifton Park and has been to both places.